Shogun Sun will run at the Sunshine Coast after trainer Kelly Schweida decided against Grafton. The chance to race on a bigger track has convinced trainer Kelly Schweida to run three-year-olds Shogun Sun and Bluebrook at the Sunshine Coast. Schweida had Wednedasy’s Grafton Guineas pencilled in for both horses after they won at the recent Caloundra metropolitan meeting two weeks ago. 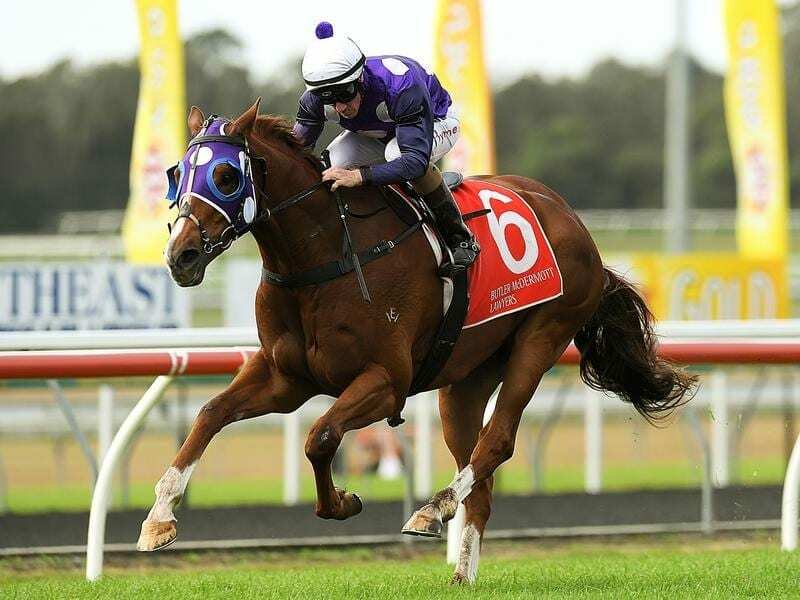 Instead Shogun Sun will tackle the Three-Year-Old Handicap (1400m) and Bluebrook the Class Six Plate (1600m) at Caloundra on Saturday. Schweida had also accepted with both in a two-metropolitan win race at Caloundra but scratched the pair. He said it had been a logical decision to dodge the Grafton Guineas won by the Kris Lees-trained Turnberry. “In the end the prize money at Grafton is no better and we don’t have the trouble of having to travel down there,” Schweida said. Schweida said Shogun Sun was appreciating the drop back in grade to metropolitan Saturdays. “He was running in stakes races and having no luck but he showed what he can do last time when he got on a big track,” Schweida said. Shogun Sun and Bluebrook are both heading to possible summer carnival campaigns.